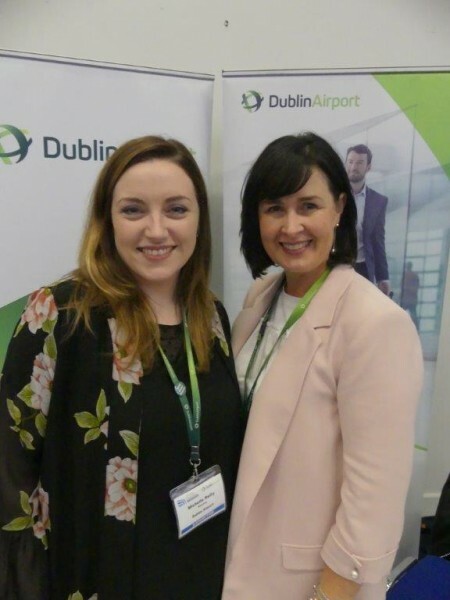 Maura Maloney (Corporate Sales/Airport Club Manager Ireland) rolled out the Dublin Airport red carpet this morning for all delegates sampling the delights of the 51st and green lounge before boarding their Aer Lingus and American Airlines direct flight to Philadelphia. 51st&Green is a relaxed, friendly and fun lounge designed to make the most of your USA travel time. 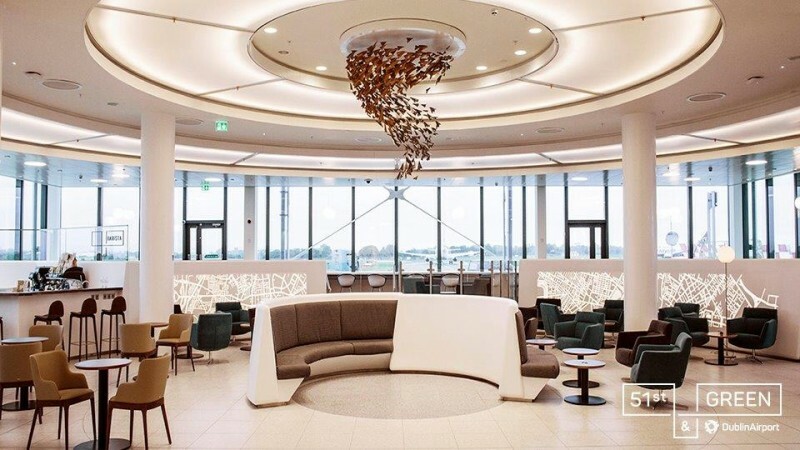 Located in Terminal 2 after US Preclearance and beside the US departure gates, the lounge is the perfect retreat away from the bustling terminal and somewhere to enjoy a few hours of rest and relaxation before your long-haul flight. Drinks, snacks & fresh Irish dishes with an American twist. Barista coffee and cocktails. High speed Wi-Fi to download in-flight entertainment. Entertainment screen with live sports. Quiet space to work with multiple charging units. Shower facilities to freshen up before your flight and Breath-taking runway views.